CLEARANCE - Happy Valentine's Day, Mouse ONLY $3.51 + FREE Store Pickup (Reg. $7)! You are here: Home / Great Deals / CLEARANCE – Happy Valentine’s Day, Mouse ONLY $3.51 + FREE Store Pickup (Reg. $7)! CLEARANCE – Happy Valentine’s Day, Mouse ONLY $3.51 + FREE Store Pickup (Reg. $7)! Happy Valentine’s Day, Mouse! Only $3.51 + FREE Store Pickup (Reg. $7)! Here’s a cute deal for your little ones for this upcoming Valentine’s Day! 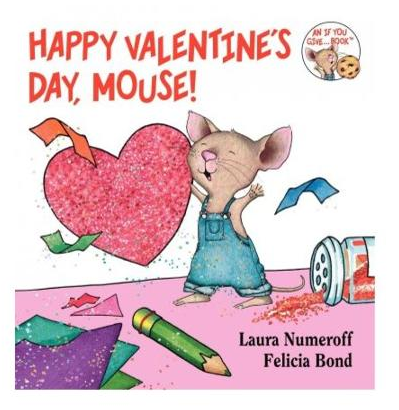 Grab a copy of Happy Valentine’s Day, Mouse! on CLEARANCE for just $3.63 + FREE Store Pickup (Reg. $7) right now, if available in your area! You can also snag this on Amazon.com HERE for the same price!